Theodore Roosevelt officially began his journalism career with the Kansas City Star on October 1, 1917. 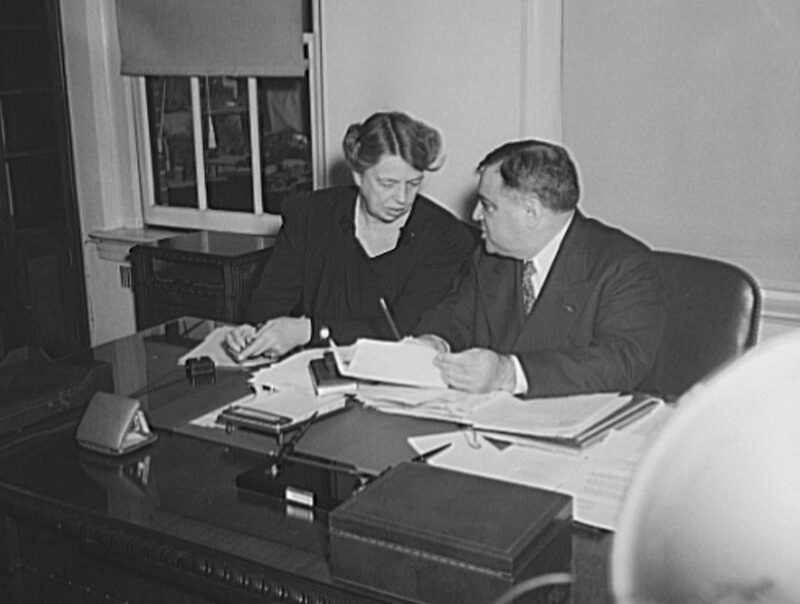 With typical Rooseveltian vigor however, he wrote a few stories in the weeks leading up to his official start date; Roosevelt was typing away at a desk at Star headquarters on Saturday September 22nd. He used his platform at the newspaper primarily as a vehicle to excoriate Woodrow Wilson and his Great War policies. After that brief September stay Roosevelt returned to Oyster Bay, where he dutifully filed dispatches until his death in January 1919. Roosevelt’s collected output for the Star, published in book form in 1921, runs 295 pages. A few weeks after Roosevelt’s debut with the Star another cub reporter joined the staff: Ernest Hemingway. Hemingway began on October 18th, less than three weeks after Roosevelt. For the next six months he wrote the types of stories—fires, accidents, petty crime—to which young reporters are invariably assigned. He was only a teenager. Hemingway always maintained that the Star’s daily grind was the best thing that happened to his writing career. 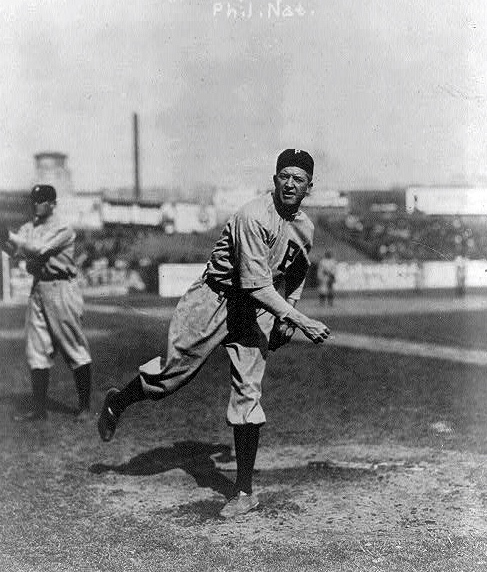 Grover Cleveland Alexander was the ninth honoree, and fourth pitcher, inducted into the Baseball Hall of Fame. He entered Cooperstown in 1938. It had its moments. In March 1918 young Hemingway met pitching great Grover Cleveland Alexander at Kansas City’s Union Station. The right hander was en route to California to join the Cubs in spring training. Hemingway dutifully filed a report. After all he had a scoop on his hands: The pitcher wanted a $10,000 signing bonus. The Cubs saw things differently and the two sides were at an impasse. That Alexander was even thinking of going to California to join the team was a story. Alexander only pitched three games for Chicago that season, though he did go 2-1 with a 1.73 ERA. Hemingway was not long for the Star. He left the newspaper a month later. By mid-summer both were in Europe helping the Allied cause. Hemingway was driving an ambulance in Italy and “Old Pete” Alexander—now in his thirties—was wearing an A.E.F. uniform in France. The war was hard on Alexander. He already suffered from epilepsy and his military experiences exacerbated an already growing drinking problem. He almost certainly suffered from post-traumatic stress disorder. Still, when he returned Alexander had plenty of baseball left in him. In 1926 he led the St. Louis Cardinals to a World Series title over Babe Ruth’s Yankees. Alexander went 2-0 (two complete games) and had a game seven save to seal the deal. He pitches 20 1/3 innings and had a 1.33 era. Babe Ruth ended the series when, with Alexander on the mound, he unsuccessfully tried to steal second base. That same year Ernest Hemingway published The Sun Also Rises, his story of the disilussioned Lost Generation living in Paris after the war. Future decades proved difficulty for both men but the Twenties were good years. Alexander was a twenty-one game winner at the age of forty in 1927. The aging star posted winning records in 1928 and again the following year. Hemingway’s career was now in full swing. He published A Farewell to Arms in 1929.